Parking is available at nearby municipal and private lots at an hourly rate. To operate successfully and sustainably and to scale, businesses need a social license. Our business heroes are no longer titans who care only about their own profit and loss statements. Unbridled greed is no longer cool, if it ever was. All around us we see that old models are failing. We also see that things that used to be completely separate categories are integrated to create whole new possibilities. “For Profit For Good” is going to be the mantra for businesses, both big and small, in the coming decade as what was once rigid categories called business and charity become coherently integrated. Theresa Gattung is a leading New Zealand business personality and author of a best-selling autobiography, Bird on a Wire. From October 1999 to June 2007 Theresa was CEO and Managing Director of Telecom New Zealand, leading the company through world-changing technology developments to become the number one IT provider in New Zealand. Over the last few years she has been involved in a wide spread of governance positions in both New Zealand and Australia. In 2013 she co-founded the hugely successful start-up, My Food Bag which now services most major New Zealand cities and has a turnover of over $130 million. In 2015 she was made a Companion of the New Zealand Order of Merit for services to business and philanthropy. Theresa is involved with a number of not-for-profit and philanthropic interests, including being co-founder and trustee of the Eva Doucas Charitable Trust and the World Women Charitable Trust, Patron of the Cambodia Charitable Trust and Chair of the Wellington Board of the SPCA. 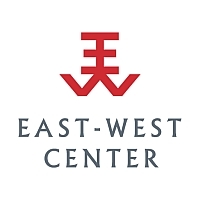 Friends of the East-West Center's mission is to build a bridge between the Center and the local community.